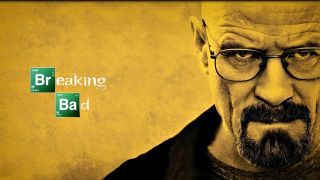 A new piece of crypto ransomware with a twist has emerged in Australia, one whose author seems to have been inspired by the popular TV show Breaking Bad. Trojan.Cryptolocker.S was identified by security firm Symantec and shares quite a few things in common with the award winning series. For starters, the author(s) used the Los Pollos Hermanos branding image (and logo) that is featured extensively in the show. Part of the extortion email used for "support-related inquiries" uses a quote – 'theonewhoknocks' – from the show's protagonist, Walter White. The malware encrypts files on the target computer using a random Advanced Encryption Standard (AES) key, and the private key can only be obtained by paying the attackers. Opening the payment page causes a YouTube video to launch in the background playing a song used in a fictional radio station in the game Grand Theft Auto V.
Victims are then ordered to pay up to AU$1,000 (about £520, $800) in order to get their files unlocked (although there's absolutely no certainty that the criminals will keep their word).